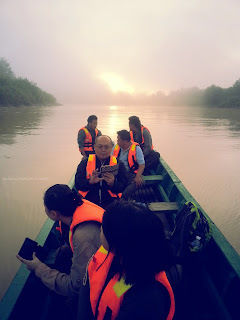 A boat ride along the Kinabatangan river in search of wildlife. The Miso Walai Village Homestay situated at Batu Putih along the Kinabatangan River is a model example of Ecotourism in Sabah. It is a unique home-stay programme that includes a mix of culture, wildlife and conservation. The Miso Walai homestay management works out off the KOPEL Office at Mengaris Village and has been operating since the year 2000 . KOPEL is an acronym for KOPERASI PELANCONGAN which means “EcoTourism Co-operative” and is the Community Ecotourism Co- operative of the Batu Puteh Community. 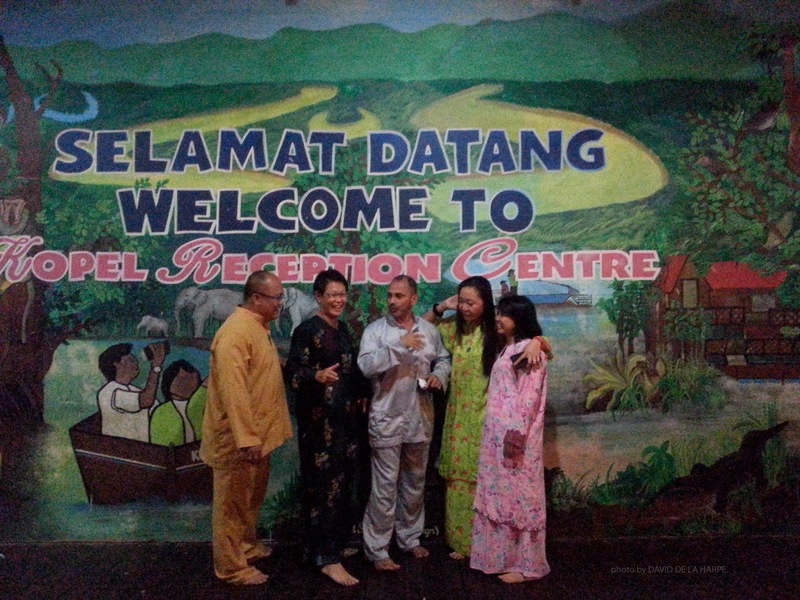 It offers visitors an award winning, community-based cultural tourism experience in the Lower Kinabatangan region of Sabah. The concept of this particular home-stay came about as an indirect result of the logging industry which in many ways introduced the people living in the area to cash based economy. After the timber had been extracted, much of the area was converted into oil palm estates while certain tracks of the forest were preserved. Some of the inhabitants who owned land have also planted palm oil on their land, while others who used to be dependent on the forest for their livelihood, found them poaching timber from protected forest as a source of income. A selection of home made cakes for breakfast . This all changed when the villagers were introduced to tourism and conservation. They soon came to realise that they could garner a very decent income from protecting the remaining forest and lakes in their village and showing it to visiting tourist. There are more than 35 family households participating in the Miso Walai Homestay. Each village home is unique; some homes are large and modern by rural village standards while other homes are rustic and traditional. All homes today have internal bathrooms and separate rooms for guests. Upon arrival at Batu Putih, guest register themselves and are briefed about the various cultural sensitivities that they might be unaware off as the inhabitants of the villages here are all Muslims. They are also informed of the various activities planned during their stay in the village. Host families are assigned to visitors based on a rotation system to ensure that every family benefits equally. 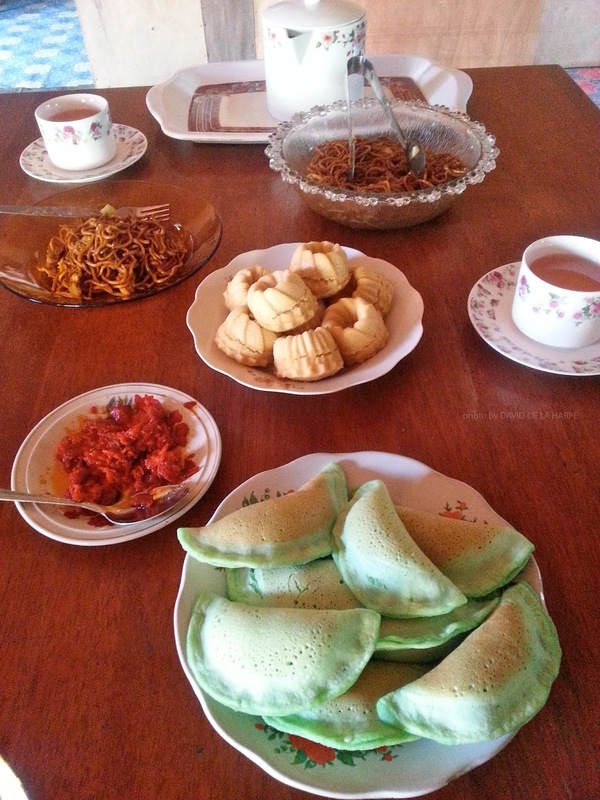 All meals are taken together with the host family and the menu will include traditional local food. If the homemaker is especially talented (as our’s was), she will prepare traditional cakes for tea. The visitors are required to change into local cloths provided by the home owner. which are all part of the experience. However I do feel that it is the encounters with wildlife that add a special element for visitors to this home-stay. Boat cruises for wildlife spotting and are conducted in the early evening along the Kinabatangan River and as the area is famous its wildlife, sightings of proboscis and other species of monkeys is a sure thing. Elephants can also be seen depending on their migratory tracks and one may occasionally spot the odd crocodile on the river. With more than 3 language groups and over 20 dialects the local indigenous “Orang Sungai” have a unique and diverse story to tell of their past and changing future alongside the Kinabatangan River.